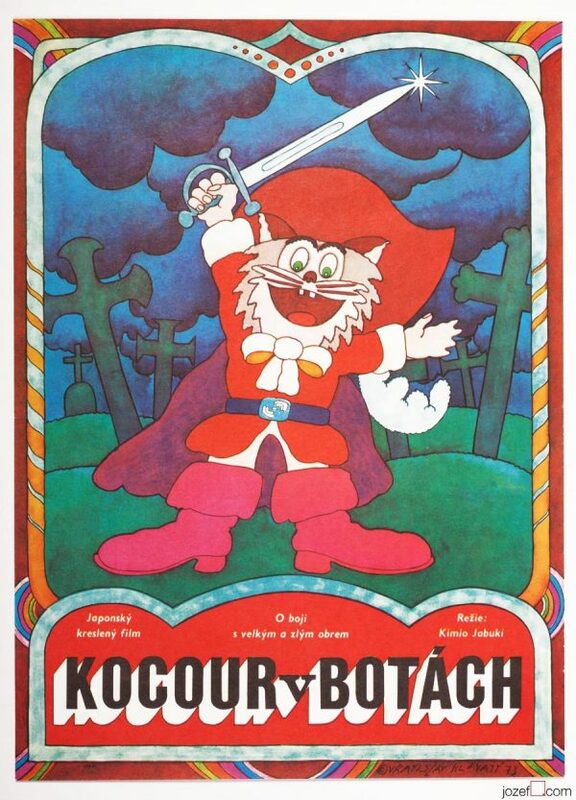 Kids movie poster with fascinating illustration by Czech award winning artist Vratislav Hlavatý. 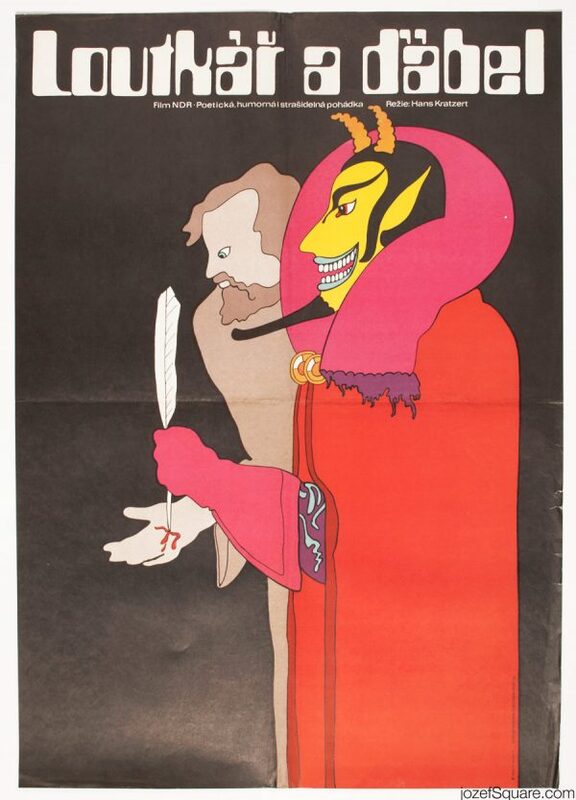 Wild poster illustration for Sunday matinee. Poster is unfolded. Few tiny cracks and soft crease on edges. Magenta colour print dots visible across the bottom. 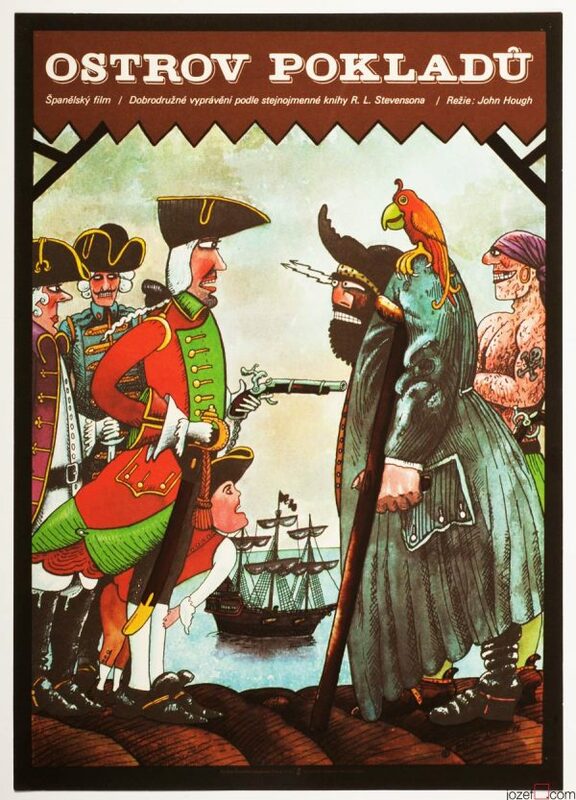 Movie poster is in A3 format (40.2 x 28.2 cm). Very nice condition (NOT PHOTOGRAPHED, PLEASE ASK IF YOU WISH TO SEE A PHOTO). My rainbow poster : ) Dynamic and illuminated design, flashy colors… Familiar signature that reminds me a lot of illustrators in early 70’s. 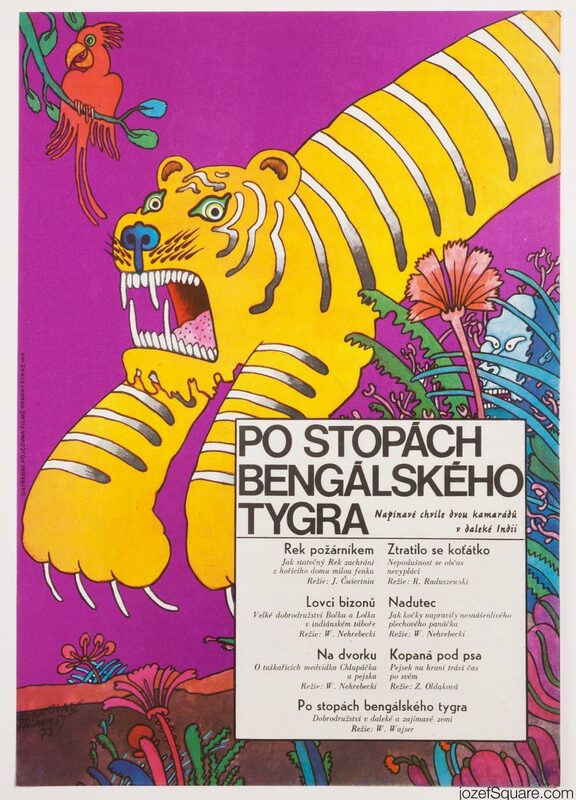 Like a psychedelic bouncing vision, I liked immediately this naive and stylish big tiger. .. in poster mythology Hlavaty is the god of rainbow :)), thank you Saga / blue creature behind the tiger is phenomenal, they just keep appearing :) ..